More than 10,000 lives were lost in natural disasters in 2018 and 61.7 million people affected, a UN report said. The report published by the Centre for Research on the Epidemiology of Disasters (CRED) last week analysed 281 such events. According to the report, India, the Philippines and China are the countries that were most affected by natural disasters, while Indonesia, India and Guatemala are the countries with the highest number of casualties. The lives of 3.4 million people were affected by earthquakes, tsunamis and volcanic activity. 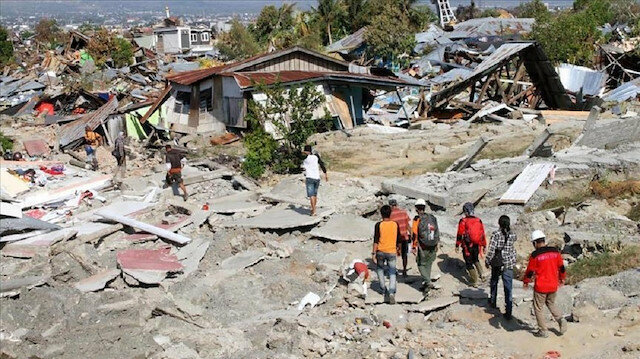 In Indonesia, 4,417 people died in natural disasters. In Guatemala this figure was 425 and in Papua New Guinea 145. According to the report, 4,321 people died in earthquakes across the world in 2018. It is reported that floods affected 35.4 million people last year, including 23 million people in Kerala, India. Floods in various parts of the world, particularly in India, Japan, Nigeria and North Korea claimed 2,859 lives. Storms affected 12.8 million people last year and caused 1,593 deaths. The report also included forest fires in Europe and North America. Due to forest fires last year 247 people lost their lives worldwide. The deadliest forest fires of 2018 were recorded in Greece (126) and in the U.S. (88). The report added 9.3 million people were affected by drought worldwide. Most of them occurred in Kenya, Afghanistan and Central America.